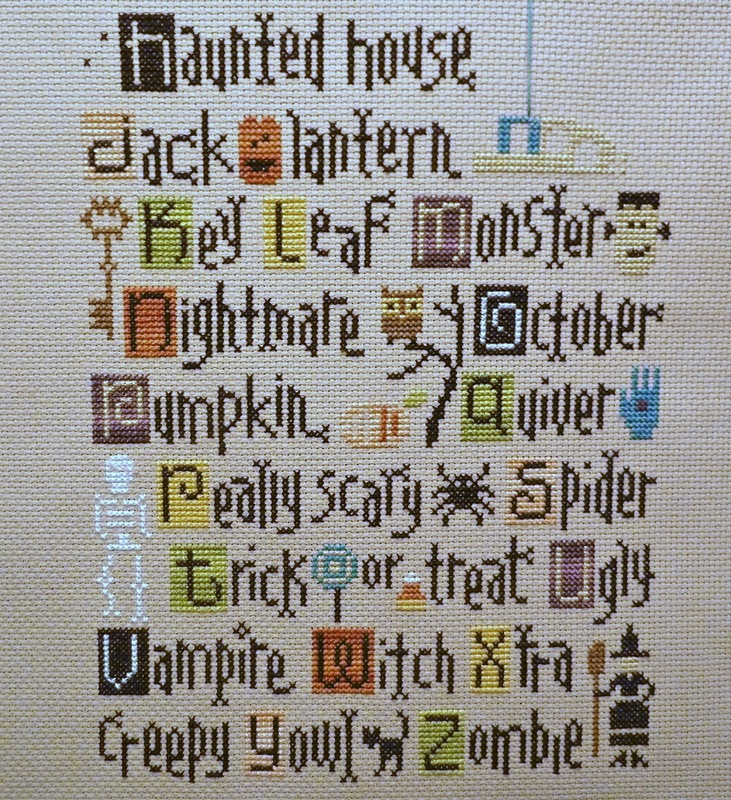 Quick post today with an update to my Halloween ABC sampler (pictures from the weekend sewing aren't completed yet, later this week) I haven't been working as diligently as I should, but the letters H & J have made an appearance! Only 4 workdays this week and i'm already looking for Friday! Your sampler is looking great, Jennifer! Have a great week! Cograts! i love reading your blog. Super cute sampler! I love it! It has been so hot here the past week I've been dreaming of Autumn especially Halloween! Thanks for sharing this with us! Only one more working morning for me!! 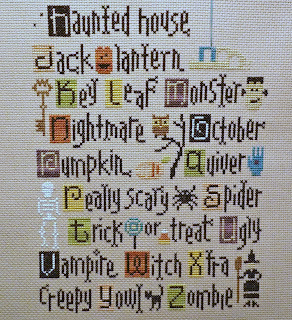 This is such a fun sampler!!! Keep up the great work. Congratulations of hitting 200 posts!!! Fabooooo! Congrats on reaching your 200th post! The sampler is coming together beautifully! Congrats on the 200 posts!